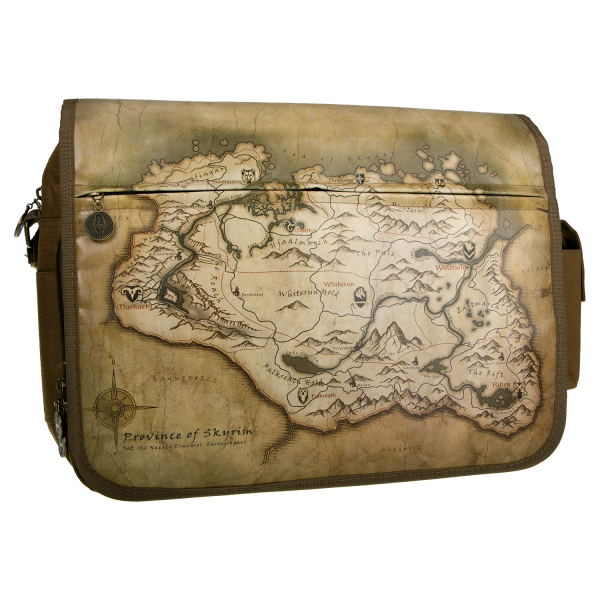 You don't have to worry getting lost again with this messenger bag showing the map of Skyrim on the front flap. The messenger bag offers room for a laptop up to 15" inches and offers plenty of room for all your equipment with pouches on the front, the back and inside. The front flap is made of water repellent material, the inside is lined with different icons from the game. Manufactured by Gaya Entertainment.